You know what’s good? Leftover brasato al barolo ragu sauce. I’d venture to say the meat only became more tender when reheated in the oven over gnocchi, and the flavor of the barolo wine has completely fused with the tomato sauce. You know what’s also good? 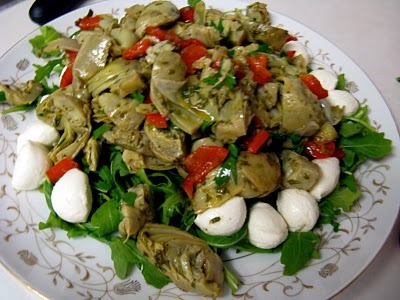 Roasted artichoke salad. I have mentioned my obsession with Ina Garten before. A few weeks ago I was lucky enough to catch the episode at the gym while I was on the elliptical when she makes this antipasto and baked shrimp scampi. Since I’ve already raved about the baked shrimp scampi, it was only a matter of time until I made her artichoke salad. I’ve made a few changes from her original recipe and have cut the recipe in half. Served atop a bed of arugula and baby spinach with fresh mozzarella drizzled with olive oil, this makes a great antipasto that is served at room temperature and generously serves six. The flavors of the roasted artichokes and red pepper are a tasty balance to the zing from the basil-white wine vinegar vinaigrette. If you have a larger crowd or would like to make this into a full side salad, I recommend doubling the recipe below. Preheat the oven to 350 degrees. On a baking pan, spread artichokes and red pepper face down. Drizzle EVOO generously over the artichokes and season with salt and pepper. Roast in the oven for 20 minutes. To make the vinaigrette, place the minced shallot, lemon juice, mustard, vinegar, 1/4 teaspoon salt and 1/4 teaspoon pepper in the bowl of a food processor fitted with the steel blade. Process for five seconds. Add the basil leaves and process into a green puree. With the processor running, slowly pour 1/4 cup olive oil into the bowl through the feed tube until the ingredients are finely pureed. Set aside. Place the roasted red pepper in a bowl covered with plastic wrap for 20 minutes to allow it to sweat. This will help the skin to peel away from the pepper. 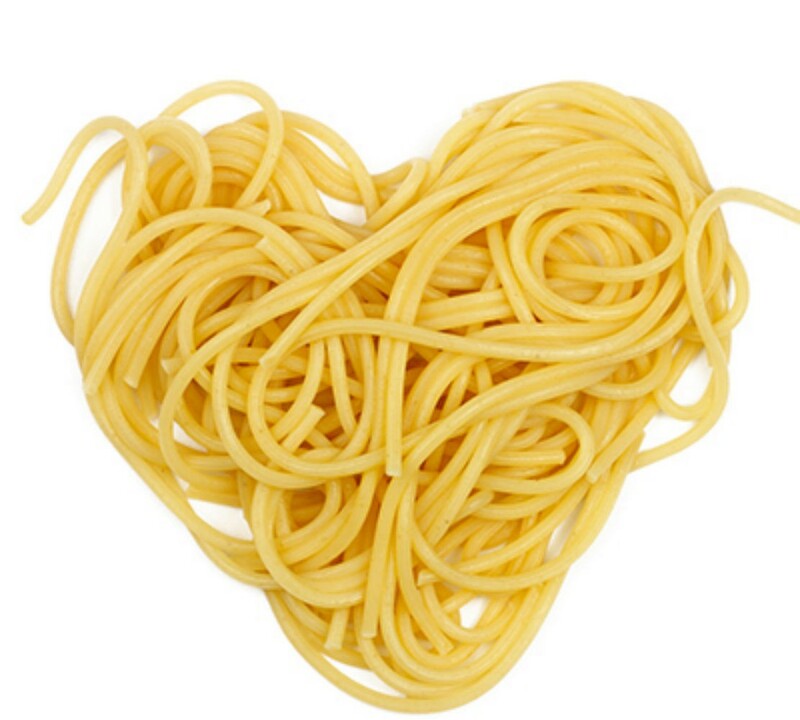 Place the artichoke hearts in a bowl and toss enough vinaigrette to moisten. Add the sliced red pepper, chopped red onion, capers, parsley and red pepper flakes. Taste and add more vinaigrette as desired. Let stand for 30 minutes to allow flavors to blend before serving.